Accident at Work: Should I Claim Compensation? 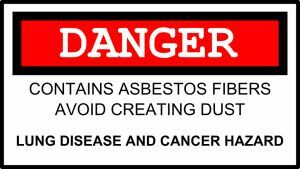 A series of radio adverts aimed at warning tradesmen of the dangers of asbestos have been banned. The adverts from the Health and Safety Executive (HSE) included the line, "Every year there are more people killed by asbestos than in road accidents." How Are Manufactured Homes Different From Modular Homes in Terms of HUD Code Requirements? What Damages Can Be Collected Under The Jones Act?